With each new generation that comes along or even with every new year ~ comes ads, articles and blog posts about minimizing and down sizing our spaces. What is a girl to do whom loves stuff? Coming from a different time and a different place. It was the late 80’s early 90’s when I married and started making a home. Shopping malls were thriving, craft shows were mob scenes, magazines were selling, Sears Catalog was still a thing, Cable didn’t reach most homes and our telephones hung on a wall with a cord. At that time we collected stuff to fill and decorate our homes, hutches and curio cabinets, it was not out of greed or ungrateful-ness or being wasteful or keeping up with the ‘Jones’….we just simply collected and had collections, Boyds Bears, Precious Moments, and Longaberger Baskets to name a few. If you had collected collectables ~ you always had a count…..‘I have 96 Precious Moments and 120 Longaberger Baskets’…..it meant something, you had status, lol! We took trips to collect…..they made some of the best memories. Year after Year after year. Joanne (our Friend and Collector and Sales Leader) had the best ‘Longaberger’ trips, sometimes filling 2 buses for the 8 hour ride…..those were good times. There were small shops and things to do ~ places to go to learn to make things. 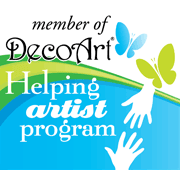 I traveled to many different States, Towns and Counties to learn Decorative Art….student seats filled quickly ~ you needed to act fast to reserve. We roomed with folks we didn’t even know. Wonderful friends were made and good times always. And with all that came stuff. So now I am middle-aged with all my stuff and the younger generation, tv-ads and bloggers are ‘selling’ us on being minimal-ist. I have even fallen into being a believer…I tried to downsize. But Stuff…well, just makes me happy, I have learned and am happy with fully wrapping my heart around it. Happiness comes from my ‘stuff’ bringing me joy in creating with it or remembering a special person or moment from the past when I look at it ~ be it a souvenir or a framed photo or a collection. Our memories are trapped in our ‘stuff’ and not in photos tucked into our phones. They are connections to our past. …along with our photos tucked into a shoebox. Being a ‘stuff’ person..…doesn’t mean we are un-tidy or hoarders or spend excessively or wasteful……and trust me, there has to be some editing….and downsizing, I have done my share. I guess my point is…..it’s ok to be whom you are ~ a minimalist or to love your stuff. We all come from different times, different places and different experiences. It is like following the next decorating trend…you learn ~ if you love plaid wallpaper, stick with it even when zebra print comes along. If you love stuff….keep it and love it when the world says otherwise. please take this article as light-hearted fun ~ there is no right or wrong or do it my way suggestions. When I was a young blog writer, lol….I wrote a short similar post called ‘little reminders’…it touched on the same subject. You can click and read (here). The world can carry on with everyone….there is room for us all, and all our stuff! Coming Soon ~ Santa Baubles Weekend Retreat, Shoppers Tote, New Releases, Farm Globes, I am Hip 2. Most of “my stuff”, too, is for creating. It will never go bad (well, maybe the paint will dry up!) and only waits for my crafter’s hands to make something beautiful, whimsical, cute, etc. 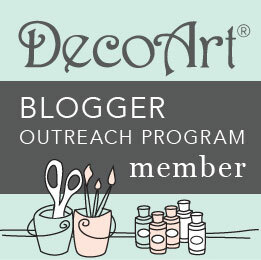 I love my crosstitching, decorative painting, and now colored penciliing supplies and will never give them up! So there, Marie Kondo! 🙂so glad I have good company Judy! Although I wish I could keep it from growing to my dining room table, lol! Your house is so warm and cozy, Amy! I love stuff, too, but I have been paring back and donating a lot this past year. I can confidently say that I will never be a minimalist…just not in my nature! Thank you….when I am downsizing sometimes I think I am just making room for more 🙂…..go with confidence, I like that!